Magellan GPS Roadmate, Explorist Handhelds:The GPS Store, Inc.
Magellan TR5 will help you navigate the streets and the trails. Rugged, Durable and Perfect for any off-road vehicle. Magellan TR7 will help you navigate the streets and the trails and is easy to see with it's bright 7" display. Rugged, Durable and Perfect for any offroad vehicle. Designed with the Off-Roader in mind. 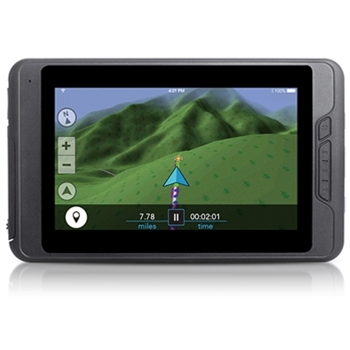 The Magellan TRX7 CS with 7” high definition touch screen and windshield mount and forward facing camera includes over 44,000 designated OHV routes from forest and public lands preloaded. Rugged design and shock resistant the TRX comes with a IP67 casing keeping it safe from the elements. Simple Waypoint Marking and One Touch Social Network Sharing are just the beginning of this GPS designed for off road navigation. Designed with the Off-Roader in mind. 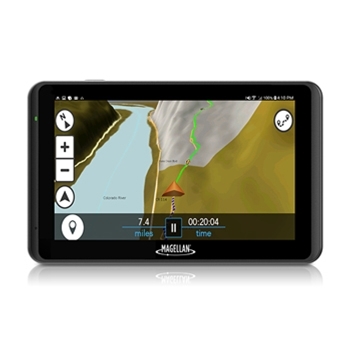 The Magellan TRX7 with 7” high definition touch screen and windshield mount includes over 44,000 designated OHV routes from forest and public lands preloaded. Rugged design and shock resistant the TRX comes with a IP67 casing keeping it safe from the elements. 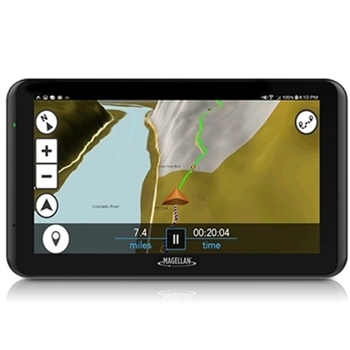 Simple Waypoint Marking and One Touch Social Network Sharing are just the beginning of this GPS designed for off road navigation.